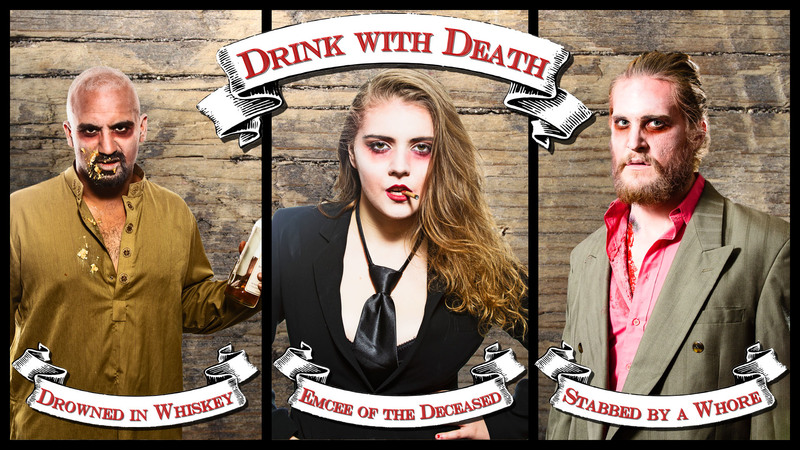 Drink with Death is a morbid cabaret where the dead rise once again to tell the stories of their untimely ends through song. The show features murder ballads as performed by incredibly talented musicians with countless unexpected twists and turns throughout the evening. The music will feature everything from drinking songs to Appalachian foot-stompers. For a few select nights the dead rise up and give voice to their experience. The musicians re-enact their deaths and the mysterious other side of human existence is explored.